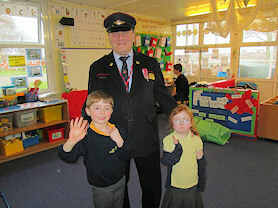 As part of our 'People Who Help Us' topic we have had a number of visitors into Reception in the afternoon. 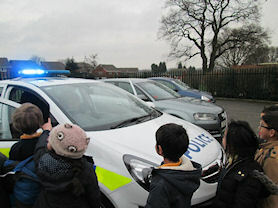 These have included Police, Postman, Optician and Horse Dentist. 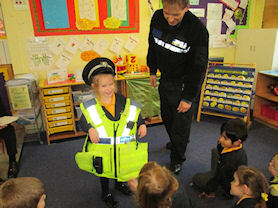 We have had a fantastic time learning about all these different occupations and these people help us in our community. 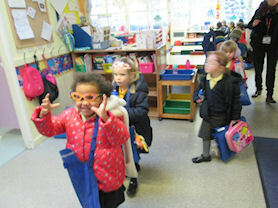 On Tuesday we made glasses with the optician. 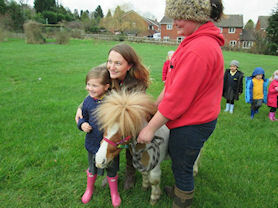 On Thursday we met a very special furry friend, Bruno the miniature Shetland pony. 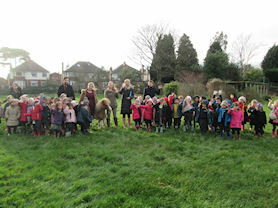 The children enjoyed stroking him and he was super friendly. 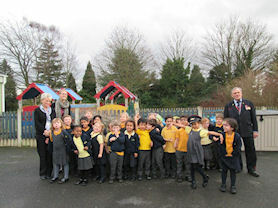 Thank you again to all our lovely visitors over the last week.